23/01/2006 | Turning left, but down which road? The election on Sunday 15th, of Michelle Bachelet as president of Chile, less than a month after Bolivians chose Evo Morales as their president, seems to support the conventional wisdom that Latin America's political spectrum has moved to the left. But two very different forms of left-wing political systems have come to coexist in Latin America. The democratic "Brazilian model" is characterized by effective health, education and food-for-the-poor programs, as well as increasing flows of domestic and foreign investment that create well-paying jobs and more exports. Brazil has lifted more than 15 million people out of poverty in the last decade, and political and economic progress is creating hope in a better future and social and political stability. In his book "Two Lefts," Teodoro Petkoff, a Venezuelan statesman and possible presidential candidate in December, calls this approach "cutting-edge reformism." It has proved its worth for many years in Chile, and has been followed by Uruguay and Argentina, though in a less convincing manner. And then there is the "Venezuelan model," baptized "socialism of the 21st century" by President Hugo Chávez, which also channels large amounts of money into social projects, but managed by party loyalists with a clear clientelistic approach. Accompanied by the undermining of democratic institutions and values, the Chávez government's obsession with control and its strident discourse have limited Venezuelan private investment to barely keeping factories running and foreign investment to sectors that ensure a quick payout, such as telecommunications, oil and banking. True, the government has achieved a superficial stability by vastly increasing liquidity, and consumption and imports have exploded. But as the institutional basis ensuring democratic governance has been dismantled, instead of hope in a better future there is uncertainty and fear of chaos and anarchy. Unsurprisingly, there are few new well-paying jobs, and studies by the Catholic University show that poverty has increased since Chávez was elected seven years ago. Venezuela, with 25 million inhabitants and the largest oil reserves outside of the Middle East, might be able to sustain such a state of affairs for some time, but this approach may not be replicable elsewhere in the region. The high level of distrust within Latin American societies has made voters look for deeds, not words, and the number of poor and marginalized has grown. 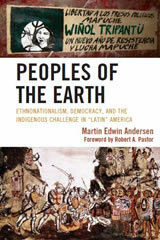 In Peru, Bolivia, Ecuador and most of Central America, they are the majority. The poor also have discovered the power of the vote, and developed a keen attachment to free elections. The tectonic shift toward democratic change is in all likelihood here to remain for some time, as poverty eradication has become the region's inescapable priority task. The possibilities for eradicating poverty in Latin America have seldom been better. Strong global economic growth is benefiting Latin America. Commodity shortages are pushing prices up, and many developing countries have been able to reorganize their external debt at lower interest rates. Brazil and Mexico have developed structural trade surpluses, and Chile is becoming a net exporter of capital. The region is a net energy exporter and its larger economies are at least self-sufficient in oil. The new governments coming to power have a better than fair chance of fulfilling most of their promises and of being re-elected, as they can look forward, with external support, to having the money and the time to carry out important change democratically. "Democratically" is the key word, as some may be tempted into believing that a revolutionary shortcut that manipulates elections and undermines institutional checks and balances is useful in extending indefinitely their originally legitimate hold on power. A competition is under way to prove which of the two approaches is more successful in ensuring upward social mobility and rekindling hope in a better future. Eight other presidential elections will take place this year in Latin America, including Brazil, Mexico, Colombia, Venezuela, Peru, Costa Rica and Nicaragua. The clock is ticking, as Chávez is fond of saying.